Mike Harrison just passed Kenny Wallace on the outside to take the race win. The checkered flag drops on the final race on your night at the dirt track. The racing is over but your night at the local race track continues. You take yourself and your tiny human to the pit area, allowing your kid to meet his new hero as he smiles ear to ear. The race winner signs a shirt for your kid and you head home. That’s how lifetime fans of motorsports are created. NASCAR doesn’t really have that. And something like that isn’t being proposed as a change for the sport. However, NASCAR has taken steps to increase fan access to the garage area at select times. More so the tracks, as they’ve built entire viewing areas around the NASCAR garage area for fans with special weekend passes. But, NASCAR has taken steps to increase access as well, for the general fan. 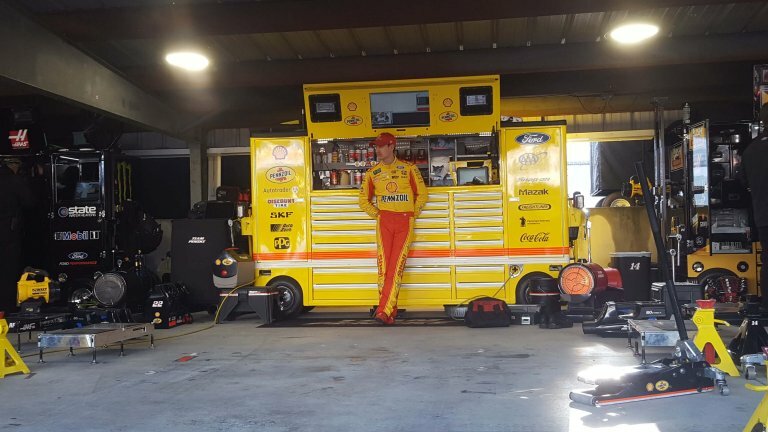 The NASCAR Xfinity Series and NASCAR Truck Series each have select times where fans are allowed access to the garage area. You can buy a grandstand ticket and still visit the garage to watch the crews work on the cars. But, that’s only at select times. You can’t wonder down there after the race is over. Nor, can you go at all for the majority of the weekend without a special pass. However, for 2019 NASCAR is expanding that limited but increased access to the NASCAR Cup Series division. For a few hours each weekend, fans are allowed to wonder to the garage area. For the most part, drivers climb from their cars and head to the motor homes during times of a quiet track. So, even still, it’s not exactly what the fans would hope for. It’s up to the track and the sanction of when this is allowed and how. The first race of the season is just around the corner. 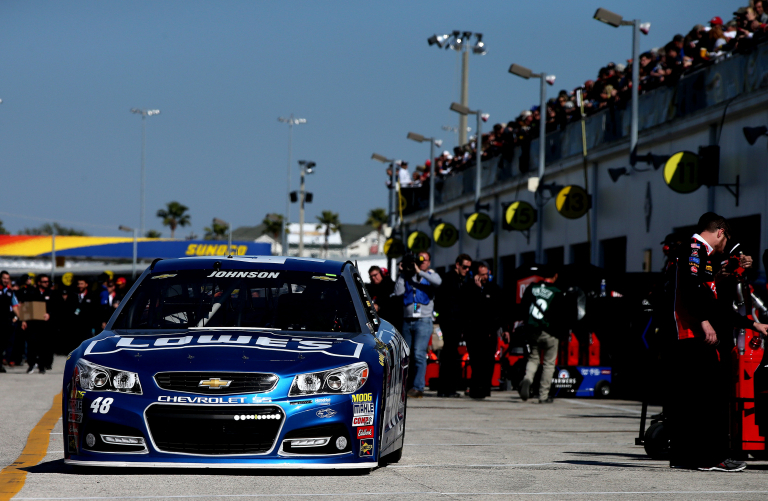 NASCAR will roll into Daytona on February 10th as they prepare for a week long edition of stock car racing. The weekend schedule has been partially set. On that schedule, they’ll listed a special access time frame for fans to check out the NASCAR garage area. Feb 10: Between 9:30 – 11:30 a.m. ET on February 10th fans can visit the garage. That’s the day of the Clash at Daytona as well as qualifying for the Daytona 500. Feb 14: Between 4-6 pm ET on February 14th fans can again visit the garage. This is the day of qualifying for the Daytona Duels. As of yet, nothing has been announced for the Daytona 500 weekend.